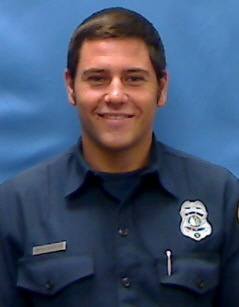 Firefighters will be taking to the streets tomorrow for the Bryan Banister Marathon in memory of one of their own who died last year after being struck by an SUV. Those participating will be running 26 miles or a half marathon of 13 miles beginning at the top of Wendy Park at the Sycamore Canyon Trail head. Or some will just come to the barbecue at noon at the finish line at Russell Park in Westlake Village where Bryan Banister's Memorial Tree is planted near Fire Station 31. Bryan was 23 when he was killed while putting fuel in his pick-up truck on the shoulder of the I-5 Freeway on Nov. 10, 2009. He and a good Samaritan who was helping him died instantly when they both were struck by the SUV.